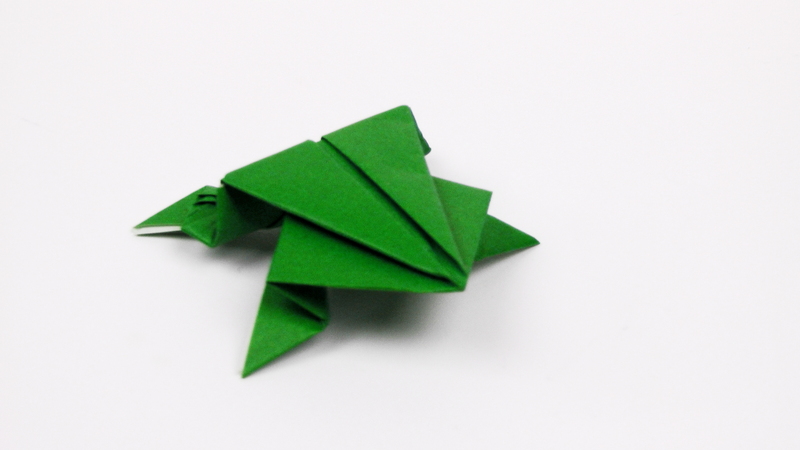 Here is my howto-video on how to fold the jumping frog. I really like this model so I took the time to make a diagram for it. I used the vector graphics program inkscape to create these instructions for the frog. And because it is a traditional model I release it under a creative commons license. You can read more about the license for the origami frog on the bottom of this post. 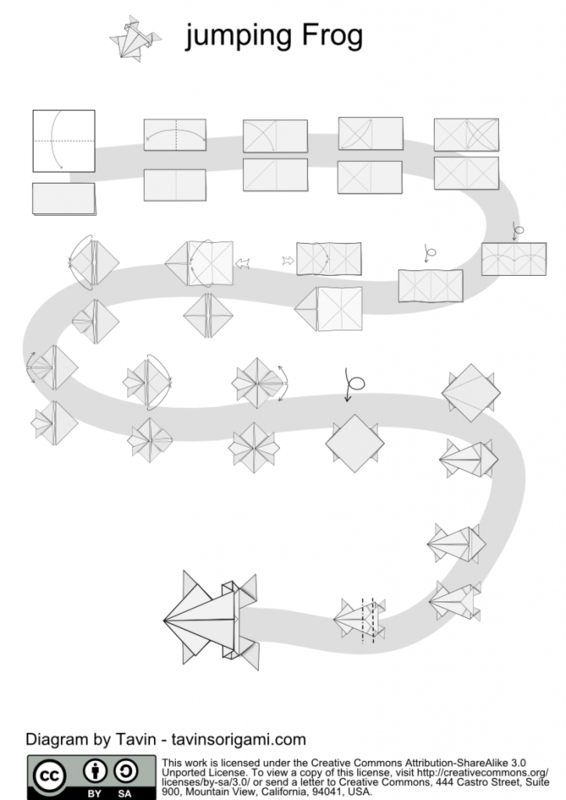 Download the Origami Frog Diagram PDF to print it out. Use the png bitmap to take a look at it on your phone or other device that can not open PDF instructions. To edit and improve the diagram please use the inkscape svg file. If you improved it please share it with me and others. You can use my contact form to get in touch with me. to make the frog you you need to push down the back of the frog with one finger. Then you pull back your finger until it slips down from the frog. This will make the frog jump high in the air. 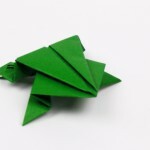 If you want to make your frog jump really high try to use smaller sheets of paper to fold your frog or fold it from thicker paper. This Diagram by tavinsorigami.com, is licensed under a Creative Commons Attribution share-alike License. This means you can use the diagram in any way you like as long as you credit me. And if you change the file you need to release your new Diagram under the same license.